So Many Insane Plays – The Glorious Return of Burning Long! Combo is coming! Long.dec is back! Dark Rituals are back! Stephen Menendian has been working tirelessly since the announcement unrestricting Burning Wish. He has been testing, tuning, and brewing Burning Tendrils. Stephen has uncovered some critical discoveries and made some incredible design leaps to unleash a deck that he firmly believes is well positioned to take its place in the top tier of the Vintage metagame. In this article, Stephen will take you through a meticulous design process, a careful primer on how to employ each tactic, and a detailed analysis of card selection and omission. Let Stephen guide you on an entertaining ride through new Vintage! This story really begins with Mind’s Desire. Mind’s Desire is the first card in the history of Vintage to have been Restricted before it was legal, and not on account of an emergency ban. It was fortuitous, but the day that Scourge was slated to become legal was the same day that the new Banned and Restricted list announcement would take effect. Mind’s Desire lit up Vintage message boards and deck builders alike, and was clearly going to be a major new player in the Vintage metagame. This was arguably one of the most famous days in the history of Vintage, because it not only saw a preemptive restriction of the most broken Storm card, but it also was the restriction of Gush. Although many players had designed potent Mind’s Desire lists, it only became known many months later out much later that Mike Krzywicki and the infamous Mike Long had brewed up a very unusual and highly synergistic list focused on the interaction between Burning Wish and Lion’s Eye Diamond. 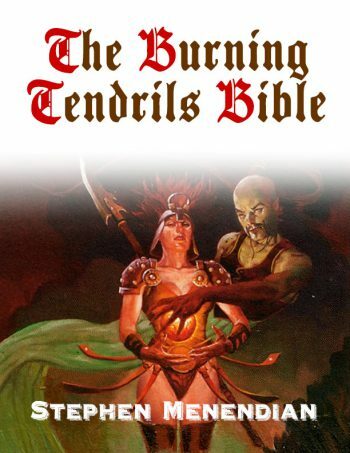 Editor’s Note: This product has now been grouped together with the rest of our Burning Tendrils products in to a revised combined product titled So Many Insane Plays – The Burning Tendrils Bible!